Reader Girls is one of today's participating blogs on the In Too Deep Blog Tour hosted by Xpresso Book Tours. We are running our review and spotlighting this powerful New Adult novel. Have a nice day! Earning her Bachelor’s degree from Penn State University in Art Education and then marrying her very own “Jake,” she moved to Binghamton, NY where she taught high school. After having two children she quit work and finished her Master’s degree inElementary Education at Binghamton University. 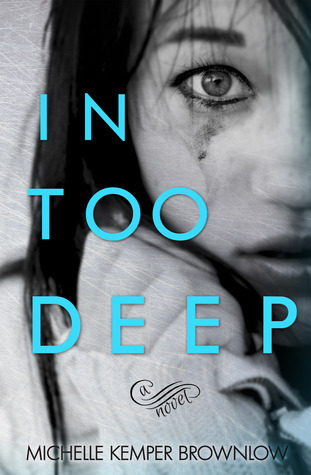 In Too Deep is a moving New Adult contemporary novel focusing on a college junior, Gracie, and her deeply scarring abusive relationship with her boyfriend, Noah. Psychological abuse doesn't receive enough publicity as physical abuse but it can be just as damaging. The one who abuses chips away at the very core of his victim until she begins to doubt herself, her mental faculties, and if it continues, her very being. I saw this happen to a friend so I know this form of abuse exists. Thanks to author Michelle Kemper Brownlow for bringing this serious topic to light. Gracie meets Noah one summer while she's working at a restaurant. She's about to be a freshman in college. He's the reputable bad boy and she's afraid to close the business alone with him after the owner locks up for the night. Noah's sweet, funny, charming. So are serial killers. Gracie is a "good girl" and she already has a boyfriend, Joel, a 'nerdy' older guy who's already in college. Gracie eventually falls under Noah's captivating spell and her life turns from predictable to exciting. But excitement comes with a price. Their first unofficial date carries a warning when Noah calls fireworks "spermies" (yes, don't reread that, he said it). Her naivety doesn't pick up on his rude comments yet, but when she transfers to his college a semester later, she begins to fully experience the 'real' Noah. Gracie has given Noah her innocence, her virginity, practically her soul. In return, he tears her apart piece by piece and the reader sees this through bits and pieces of their scenes (past and present). There are flashbacks and symbolic instances when Gracie feels she's drowning. Noah does quite a number on her. Her friends--from roommate Stacy to upstairs friends, Jake and Sam (both roomed with Noah until he moved into a campus frat house)--they are the ones who help her. Jake becomes her best friend, her confidante, her rock. He's the one she calls, texts, runs to after Noah has embarrassed her, told her he's fooled around with others, slammed his door in her face. Jake has a girlfriend and the reader knows something is brewing there. He's so into Gracie and is a great listener. Without him, I don't know what would have happened to her. Jake's a great guy and finds himself falling for Gracie. Where Noah and Gracie's scenes were uncomfortable to read, when she's with Jake her old self begins to emerge. 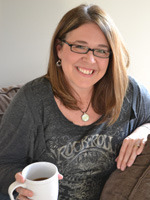 Gracie's story is a moving testament to what victims of psychological abuse endure. The see saw effect their abusers have on them is scary. From a smiling, happy young woman, Gracie becomes a shell of her old self. Her mother mentions that when she visits on breaks and gives Gracie some of the best advice in the story. Jake is Gracie's saving grace. He knows Noah and hates what he puts Gracie through. He also advises her that what she thinks she has with Noah is not love and she realizes that from a class she's taking. Noah's become her love addiction and breaking this habit will not be easy. With Jake and her friends she begins to fight back until the very last scene in the story. I liked In Too Deep. I felt uneasy during much of it and wanted to pull Gracie away from Noah in many scenes. How he degrades her is infuriating. Yet, when he looks at her with his puppy dog eyes and apologizes, she lets him back in. Until she doesn't. Her instinct begins to take over, warning her when he's lying and when she should leave. In a way, she displays some bullish attitudes in a couple of scenes dealing with other girls getting too close to Noah. I kept reading because I saw a spark of hope in her--with the way she feels around Jake, how she begins to question everything Noah says and does. For a novel dealing with such an important and all too common issue, I was surprised there wasn't a mention of Gracie seeking some form of help for her abuse on campus (or an "author's note" at the end about mental health and abuse, but I read an ARC). Jake's a fantastic guy and gives good advice and support, but realistically I would think she would need to go into treatment to begin healing. I also understand Gracie is a victim and very emotional, but the amount of times she cries became repetitive and lost impact for me. Wouldn't she become 'desensitized' over time? Jake is wonderful and, at times, I thought too perfect. I did like how he told her "no" in one scene and made her rethink some things. Some scenes were too lengthy, especially when we're stuck in Gracie's head. At times, her introspections seemed to 'tell' us too much and I would have preferred 'seeing' some of these things instead. I've noticed a trend in many New Adult novels where we don't actually get to see much of the campus life of the characters, only the extra curricular activities of hanging out, hooking up, drinking and parties. A glimpse of Gracies' 'school' life would have balanced things and given us another perspective into her character. Overall, In Too Deep, is a poignant and emotionally disturbing novel which sheds light on the important issue of psychological abuse. I know this image represents Gracie and her plight, but I don't care for it. There's a tour wide prize giveaway of 5 eBook copies. Open internationally.